International estate planning is an area of practice rife with potential pitfalls for the unwary, with complex and labyrinthine rules entirely out of proportion to the frequency in which most traditional estate planning practitioners confront them. Compounding this difficulty, judicious planners must also regularly contend with a myriad number of tax treaties and multi-jurisdictional tax rules. Selecting an international estate planning attorney with a strong background in international tax law is therefore crucial to minimizing burdensome transfer taxes and ensuring that potentially conflicting laws do not interfere with the disposition of your estate. Tax planning and structuring for inbound foreign investment into the U.S.
Who is Subject to U.S. Estate and Gift Tax? Generally, three types of individuals are subject to U.S. estate and gift tax: U.S. citizens, U.S. domiciliaries, and non-resident aliens with certain assets situated in the U.S. U.S. domiciliaries are defined as persons who reside within the U.S., even for a brief period of time, with no definite present intention of leaving. Determining the decedent’s intent post mortem is often a difficult and highly subjective process, and is best avoided where possible. Advanced planning prior to death will remove the uncertainty that a non-U.S. citizen’s place of domicile may have on the U.S. taxation of their estate. In addition, non-resident aliens are oftentimes surprised to learn that they too may be subject to U.S. estate and gift tax, even though they are neither U.S. citizens nor reside in the U.S. Non-resident aliens are generally taxable to the extent of any real or tangible personal property (including cash and debt obligations of U.S. persons), located within the U.S. Therefore, before undertaking any gratuitous transfer of wealth, either inter vivos or testamentary, it would be prudent to establish U.S. taxpayer status, as well as the location and type of property to be transferred in order to determine the most advantageous transfer strategy. Need help or have a Business Tax Question? Contact us! Married couples residing in the U.S. in which one or both spouses are non-citizens are subject to more restrictive treatment under U.S. estate and gift tax law, and therefore greater vigilance and care must be exercised to avoid adverse tax consequences and ensure the optimum use of available deductions and credits. One important example is the unlimited marital deduction. The unlimited marital deduction excludes from the taxable estate of a decedent any property transferred to a spouse by way of gift or death, allowing the surviving spouse to enjoy the full benefit of the decedent’s estate for life. However, the unlimited marital deduction is not directly available to the estate of a decedent with a non-citizen spouse, given the concern that the surviving non-citizen spouse may abscond with all of the assets to a foreign jurisdiction and thus defeat or avoid U.S. taxation on the decedent’s estate. The resulting unfortunate consequence for non-citizen spouses therefore is double taxation of the decedent’s estate, once upon the decedent’s death and again upon the death of the surviving non-citizen spouse. The solution to this undesirable position takes several approaches. One common approach involves the creation of a Qualified Domestic Trust or “QDOT.” The transfer of assets from a U.S. citizen to a QDOT qualifies for the unlimited marital deduction, deferring estate tax on the decedent’s estate until the death of the non-citizen spouse. Upon the death of the non-citizen spouse, the assets in the QDOT are then subject to U.S. estate tax as if they were includible in the decedent’s gross estate at the time of death.There are however, certain limitations on the use of a QDOT. Although non-citizen spouses may be entitled to income from the QDOT free of estate tax, non-hardship principal distributions from the trust are immediately taxable. In addition, while the QDOT defers estate tax on the decedent’s estate until the death of the non-citizen spouse, the tax remains that of the decedent spouse’s estate and cannot be sheltered by the surviving spouse’s applicable exclusion amount. Another rather obvious approach, when practical, is that the non-citizen spouse may become a U.S. citizen. Citizenship obtained by the surviving spouse before the filing deadline for the decedent’s estate tax return results in the immediate allowance of the unlimited marital deduction for the decedent’s estate. In addition, estate tax will no longer be imposed on QDOT asset distributions or the value of remaining property in the trust if a non-citizen spouse who obtains U.S. citizenship after the creation of a QDOT also meets the requirements of IRC section 2056(a)(b)(12). Lastly, another strategy for reducing the value of the U.S. spouse’s estate is lifetime gifting. This strategy is limited by the annual exclusion amount of $143,000 for transfers to non-citizen spouses (as of 2013) and the need to make gifts of present interests to qualify for the exclusion under IRC section 2503(b). Alternatively, gifts may also be made by the U.S. citizen spouse to fund a life insurance policy held by an irrevocable life insurance trust, or “ILIT,” with the trust as the beneficiary of the policy and the non-citizen spouse as the beneficiary of the trust. The life insurance proceeds would then not be includable in the decedent’s estate and be available for the immediate use of the surviving non-citizen spouse. Another potential estate tax issue with non-citizen spouses arises in the context of real property held in joint tenancy. Where a husband and wife hold real property in joint tenancy and the surviving spouse is a non-citizen, the general contribution rule applies. Under the this rule, if the surviving spouse is a non-citizen the full value of the couple’s joint tenancy property is includible in the decedent’s gross estate, except to the extent that the non-citizen spouse furnished consideration for the property. Again, this results in double taxation where the surviving spouse’s joint tenancy interest is taxed once in the decedent’s estate and again in the surviving spouse’s estate. By transferring a half interest in joint tenancy property to a QDOT, double taxation can be avoided by way of the unlimited marital deduction. Advising Non-Us Persons Seeking to Invest in Real Property Located Within the U.S. The scope of U.S. transfer taxes pertaining to U.S. citizens and residents is extremely broad, encompassing nearly all gratuitous wealth transfers. As a result, transfer planning for U.S. persons has traditionally involved the aggressive exploitation and utilization of loopholes, deductions, and credits in order to minimize estate and gift tax consequences. However, transfer planning for non-U.S. persons carries a vastly different focus than that of U.S. citizens and residents. Whereas the scope of U.S. transfer taxes is broad concerning the latter, with regards to the former it is solely limited to assets that are deemed U.S. situs property. Therefore, rather than looking for opportunities to exploit loopholes, deductions, and credits, the focus for non-U.S. persons should be avoidance of U.S. transfer tax altogether. In addition, as of 2013, U.S persons are entitled to a $5.25 million dollar unified credit which shelters their estate against transfer taxes. Non-U.S. persons on the other hand, receive a mere $13,000. Non-U.S. persons are also not entitled to any credits for foreign death taxes paid, which may ultimately result in double taxation of U.S. situs property upon death. These harsh tax results are yet another good reason that non-U.S. persons should make every attempt to avoid U.S. transfer tax whenever possible. The rules governing what constitutes U.S. situs property are oftentimes complex and counterintuitive, but generally U.S. situs property includes real property, tangible personal property, and cash located within the U.S. at the time of transfer or time of death. Applicable tax treaties may also impact the determination of U.S. situs property, further complicating the issue. It is the transfer of U.S. situs property by a non-U.S. person either by gift or death that opens the door to U.S. transfer taxes. Therefore, careful planning in the acquisition and transfer of U.S. situs property must be undertaken to ensure that the door remains firmly closed at the time of transfer. As U.S. transfer tax does not reach stock held by a non-U.S. person in a foreign corporation, planning in this area typically involves the formation of a foreign corporation to hold U.S. situs property. In other words, by converting U.S. situs property ownership into non-U.S. situs property (i.e. foreign stock), U.S. transfer taxes may be avoided. In order for this arrangement to be respected, it must be properly planned, documented, and maintained. Because transfers from a U.S. domiciliary are subject to U.S. estate and gift tax, it is critical that domiciliary status be determined and well documented in advance of any gratuitous transfers of wealth. The test for determining U.S. domiciliary status is subjective, where an individual is considered domiciled in the U.S. if the individual is living in the U.S. and has the requisite intention of remaining in the U.S. indefinitely. While none of these factors are determinative, taken as a whole they are used to establish intent. Given the subjective nature of establishing intent, clear and substantial documentation is necessary to ensure that intent is established well in advance of any transfer subject to possible taxation. How Strong is US Transfer Taxation reach to Non Residents? Tax consequences if I decide to immigrate to the U.S.? What is the scope of the Exit Tax? Can you avoid the Exit Tax prior to expatriating from U.S. When is a Permanent U.S. Resident subject to the Exit Tax? Should I use a multi-jurisdictional wills that limit creditor rights? As most U.S. expatriates are already aware of, the U.S. taxes its citizens on their worldwide income. Therefore, income earned overseas is taxable and generally must be reported. In some instances, foreign sourced income is even subject to Medicare and Social Security taxes in addition to federal income tax. However, the rules pertaining to foreign sourced income often include credits and other special exclusions that may significantly reduce taxes owed. Alongside these special provisions are also special reporting requirements for certain foreign held assets, accounts, and interests.Failure to comply with U.S. reporting requirements on an annual basis can lead to draconian civil penalties and possible criminal penalties where the failure to report can be established as willful. Therefore, U.S. expatriates should take special care that they are not only maximizing all of the available credits and income exclusions available under the Code and any applicable Treaty, but that they are also meeting the numerous foreign asset, account, and interest reporting requirements. U.S. persons seeking to renounce their U.S. citizenship also face significant tax hurdles in the form of an “exit tax.” Generally, under IRC Section 877A, a mark-to-market regime is imposed on any U.S. citizen who relinquishes their citizenship and who either meets the tax liability or net worth test as prescribed by the statute. For purposes of the mark to market regime, the person renouncing their citizenship is deemed to have sold any interest in property for its fair market value and will recognize gain or loss for that year. For individuals who own property with significant built in gain, this could result in a considerable tax burden as they seek to leave behind their status as U.S. citizens. The expansion of a globally integrated economy coupled with greater international trade and investment has led to an increasingly global society, where national boundaries are progressively becoming blurred on both a business and personal level. While all individuals with foreign connections can expect to be impacted by this trend, those families with high net worth and members or assets in multiple taxing jurisdictions will be forced to confront multiple issues requiring complex and advanced planning in order to ensure that property is distributed as intended with a minimum tax burden. 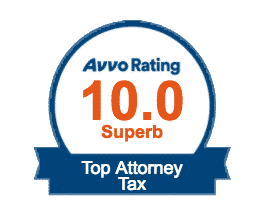 A failure to properly address these issues oftentimes results in unnecessary and highly unfavorable tax treatment (including double taxation) upon transfer. Therefore, investing in the proper planning today is prudent because it will reap significantly greater tax savings in the future. At the Tax Law Offices of David W. Klasing, we have the international tax and estate planning experience to assist you with the disposition and planning of your estate, no matter how complex. Contact us today or call at (949) 681-3502 to discuss your options.